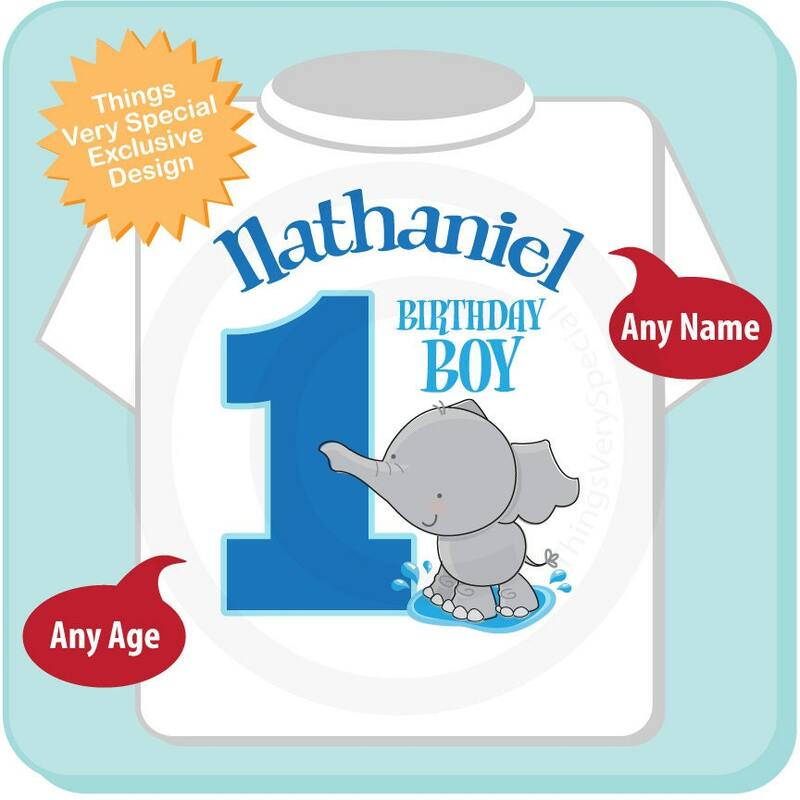 Cute Elephant Birthday Shirt for Boys Safari Theme birthday Party on tee shirt or onesie with cute birthday elephant can be personalized with your child's name and age and be with or without the words "Birthday Boy". 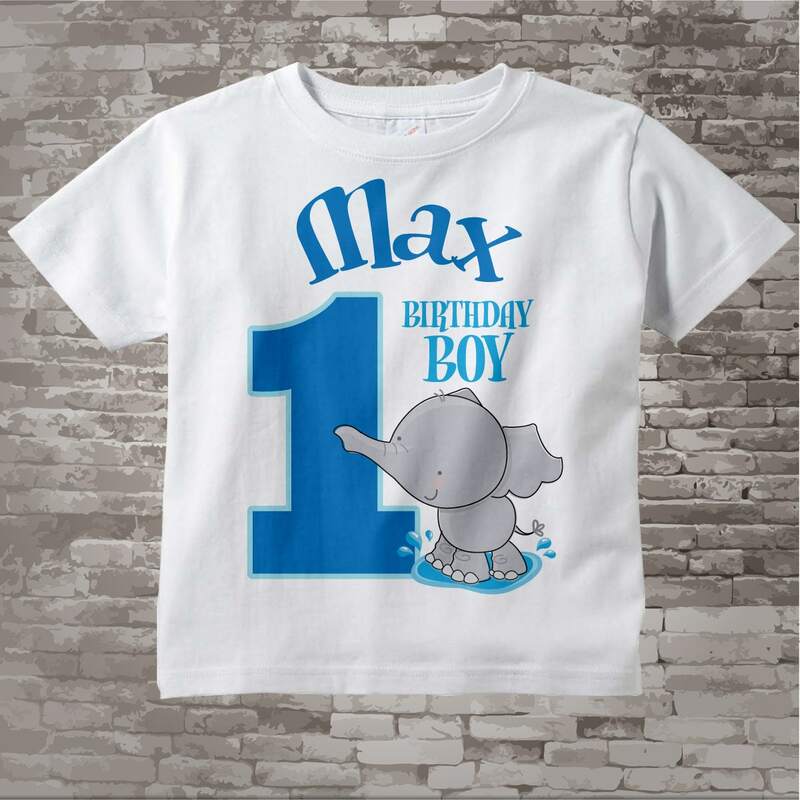 Whether you want the words "Birthday Boy" on the tee. It is prefect just like the picture and fast delivery! Received just in time for my son's 1st birthday. Seller quick to respond with questions. Thank you! 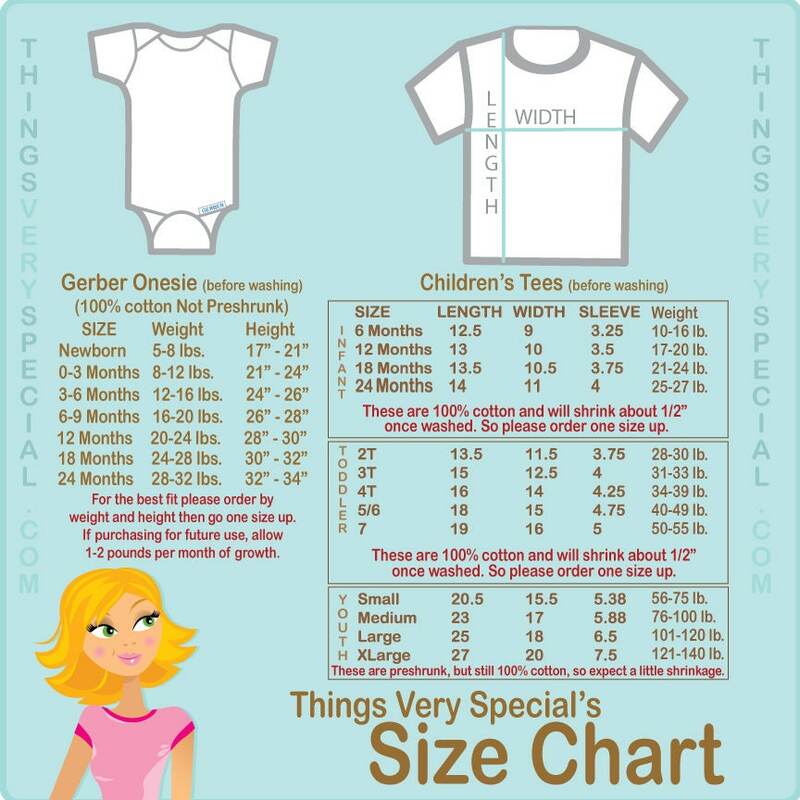 Yes, the sizing is correct, go up 2 sizes with the t-shirts. 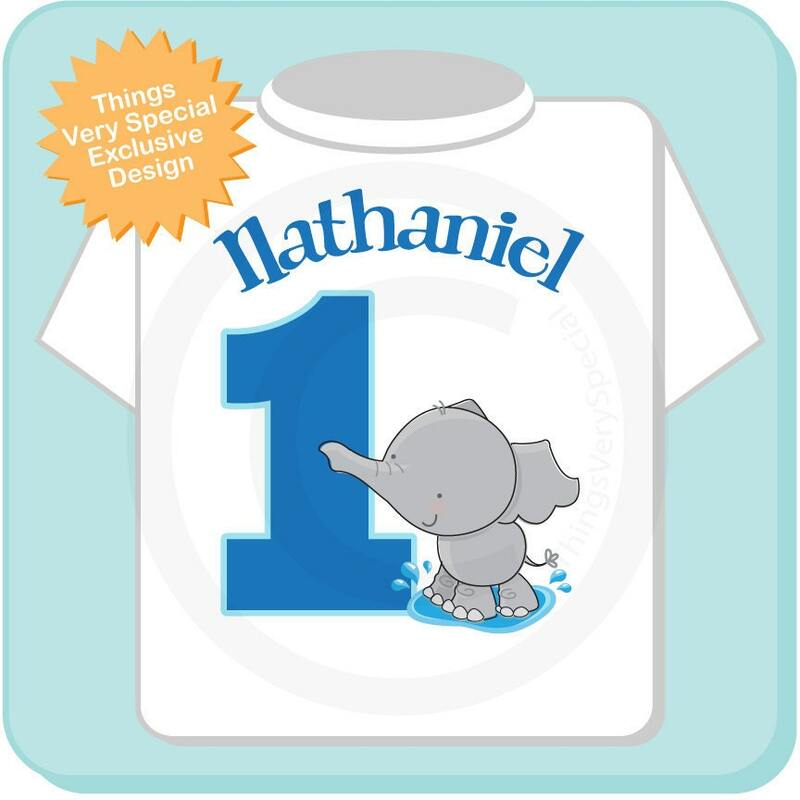 So my almost 12 month old, who is in a size 12mo, or 12-18mo, I ordered the child size 2 and it's perfect, especially for his broad shoulders. It was shipped before I knew it! Totally adorable. Thank so much.